We have the scoop on the must-have pregnancy and parenthood tech items featured at this year’s annual New York Baby Show. During the largest event for new and expectant parents in the country, we visited with 140 top baby and maternity brands on display to find the following new and innovative baby products to share with you. We know the frustration of shopping with a baby stroller, trying to lug your packages while steering and trying to keep the stroller from falling over. Ugh — not easy, right? We’ve been there, which is why we marveled at this simple solution. With the SureShop Bag, you can count on your stroller to transport more than just your child. Even the basic reusable shopping bag can benefit from an upgrade, and this lightweight bag clips on to store your stuff and keep umbrella strollers standing upright. The ingenious addition of strategically placed clips redistributes the weight of the bag’s contents so you don’t have to worry about the stroller tipping over when you take your baby out. Now you can shop with ease and run errands with your baby. The bags are available in six colors including black and hot pink and hold up to 10 pound on each side. Like other reusable bags, the SureShop bag folds up in a self-storing pouch you can toss into your diaper bag. It's great for traveling or heading to a theme park with a cheap umbrella stroller. One mom wisely points out on Amazon that this bag offers the bonus of added security, since it’s not easy to unhook unobtrusively once it's strapped to the stroller. While it's always smart to keep an eye on your things, we know that's not always possible when your child is playing, so we appreciated this extra benefit too. The Gerber BabyNes baby formula dispenser is the formula version of a Keurig coffee machine. With this device, you can prepare your baby’s bottle in less than a minute at the desired temperature with the exact amount of formula — and no lumps. Insert a single-serve BabyNes formula capsule, available in six age stages and push a button. Out pours the measured amount of formula into your baby’s bottle. You don’t have to shake the bottle or bother with heating or cooling it to get the right temperature; simply rely on your saved settings. The convenience this bottle maker delivers is especially great for middle-of-the-night feedings. 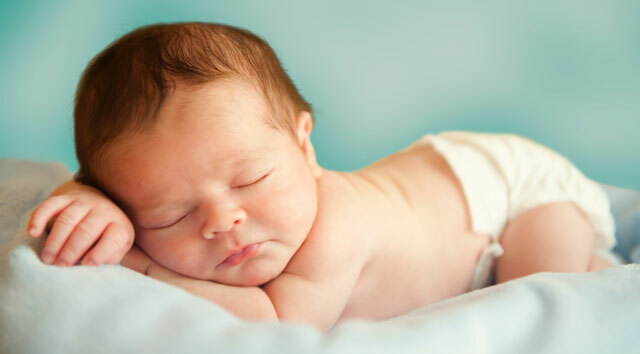 If grandparents or caretakers want to feed the baby, you don’t have to prepare a supply ahead of time or look over their shoulder as they mix and prepare formula. Built-in Wi-Fi allows you to get feeding alerts, track nutrition or set up auto-replenishment of capsules from your smartphone. While this unit isn't cheap, it’s hard to put a price on this kind of convenience, especially if you have multiples or older children to prepare food for too. 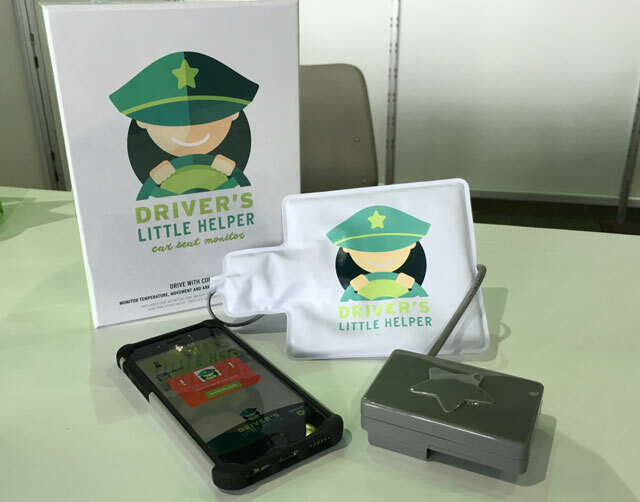 Driver's Little Helper is an infant and child safety product that works like a baby monitor and connects to your phone to help your child stay safe in the car. It works with any car seat and syncs with your smartphone to provide alerts about the comfort and safety of your child. The sensors track the presence of your little one, ensuring he or she doesn’t become an escape artist or get left behind in the car. While no one imagines it can happen to their child, with more than 177,000 children injured in cars every year, it never hurts to play it safe. This device offers that reassurance. A built-in thermometer also lets you know if back-seat temperatures rise to dangerous heights. We love when a multifaceted product manages to deliver more bang for your buck. The Chicco Polly Progres5 Highchair continues to grow with your child from a highchair to a booster you can pull right up to the family table when they get older. Five configurations give you a baby recliner, a highchair and a booster seat in just one product. This high chair can function with or without the base if you’re traveling or need more space in your kitchen. The legs can be detached, and the seat and tray can clip on to a chair that you already at the table. Another advantage of this chair over clunky high chairs is compact storage. When you're not using this chair, fold it for ultra-compact, stand-up storage. It's even possible to hang the tray on the rear legs. The chair boasts eight heights to fit your child, your table, and your own comfort — the ultimate in versatility. While it’s easy to rely on the camera in your mobile phone, you sacrifice quality for important photos like your child’s key milestones. Yet you don’t have to carry a bulky camera with tons of accessories in order to get a better picture. 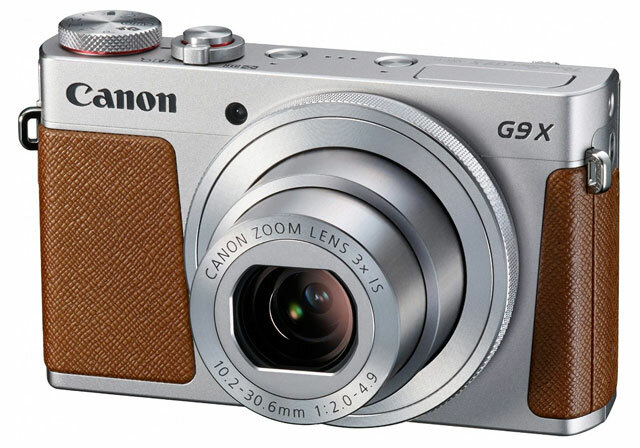 The Canon Powershot G9 X is slim and light enough to easily fit into a diaper bag or a purse, and it's packed with parent-friendly features. A one-inch 20MB sensor and fast, wide-angle 3x zoom lens captures far more detail and richer color in a wider range of shooting situations than a simple smartphone camera. Shoot at six frames per second to catch baby’s first smile, and then easily share the images with your family and friends over the built-in Wi-Fi. Use the Wi-Fi feature to send high-quality images directly to your phone, even when you’re away from home or a computer; you’ll still be able to share on Instagram, but now they'll be stellar shots. This is the perfect pocket-sized camera for parents and photographers. Most baby seats and bouncers have a limited life as babies quickly outgrow them. But Nuna takes a different approach with the Leaf and the Leaf Curve, sophisticated, leaf-shaped baby seats that grow with your child. Endurance-tested to hold up to 130 pounds, these seats will keep your child rocking for years, and you won’t have to worry about big sisters or brothers climbing in either to watch cartoons. The rocking action or swirl-like spin motion in the Curv design is manual; unassisted, it lasts for over two minutes with a gentle push. You can motorize your Leaf by investing in the Wind accessory for $99. Otherwise, there are no batteries, no cords, no buzz and no noise, just a sleek, contemporary chair that matches adult décor. If you want to keep your Leaf stationary, there’s an easy-to-use lock right on the base. The seat pops out of the base for easy storage and quick trips. Another Add the optional toy bar accessory ($39.95), which clips on to the sides of the seat and dangles soft plush objects to keep your baby occupied. This modern seat is visually stunning. Many will consider it overpriced, considering that it doesn’t have the motorized bells and whistles found on mass-market swings or bouncers. However, this eat offers greater longevity than other seats. Moms seem to love that all their children can sit in it, and they appreciate the simple tech without annoying music or strong motions or vibrations. Parents appreciate that it's not bulky and how easy it is to pick up and move around the home.This seat is perfect for families looking for battery-free, electricity-free baby products. The world’s smallest folding stroller, the GB Pockit is travel-friendly and light (9.5 pounds) and easily transforms into a space-saving, handbag-shaped package that you can slip into in a bag of its own. Its two-step folding technique lets you switch from pushing to carrying in seconds. When folded, it's cleverly designed to stand on its own. This troller is small but mighty, holding a child up to 55 pounds. Unlike standard umbrellas strollers, the GB Pockit has front swivel wheels to make maneuvering simple. Lock the tires for added stability. The handlebars are extendable. Another unexpected but fabulous feature is the convenient storage basket underneath the seat. This compact stroller includes a sun shade. Taller parents do complain about kicking the wheels of this stroller when they walk; however, the same can be said of umbrella strollers in general. Some parents say that while they love the compact folding, it takes a good minute or two to accomplish. The Pockit is available in six colors; sorry, moms of multiples, there's no double stroller version yet. Online children’s interior design resource Project Nursery teamed up with consumer electronics company Voxx International to make this incredibly functional and beautiful baby monitor. Not only does it come with a 5-inch high-definition LCD touchscreen parent monitor that looks like a tablet, but it also includes a 1.5-inch mini monitor with a wristband, lanyard and clip, so you can run around the house while keeping an eye on your baby or toddler. As a wireless and Wi-Fi-free monitor, it can easily be handed off to a caregiver without a complicated set-up explanation, all while maintaining a reliable connection. 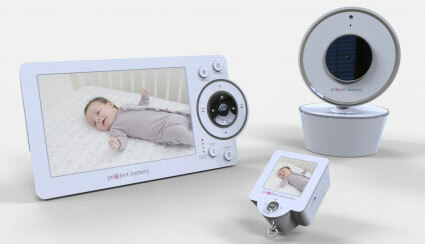 Both the parent monitor and mini monitor have pan, tilt and zoom controls for the included camera. The interface is easy to use and lets you record video, monitor the room temperature and play lullabies to help your little one fall asleep. Great to meet you! Thanks for stopping at our booth! Hi, Tara! Thank you for stopping at our booth and letting us show you our SureShop no-tip stroller bag. We’ve got another product launching soon and would love to show it to you!